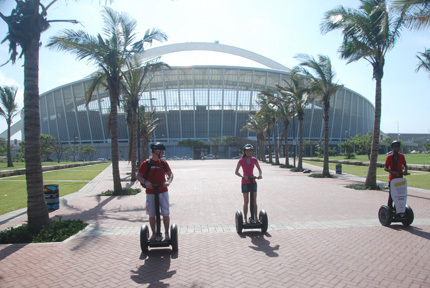 The most exciting way to experience Moses Mabhida Stadium and Durban’s Golden Mile! The most exciting way to experience Moses Mabhida stadium and Durban’s golden mile!!! Segway gliding tours turns one! A year ago we, Segway Gliding Tours, opened its doors with only four Segways. Since then they have continued to grow, now boasting 10 Segways with more on the way. 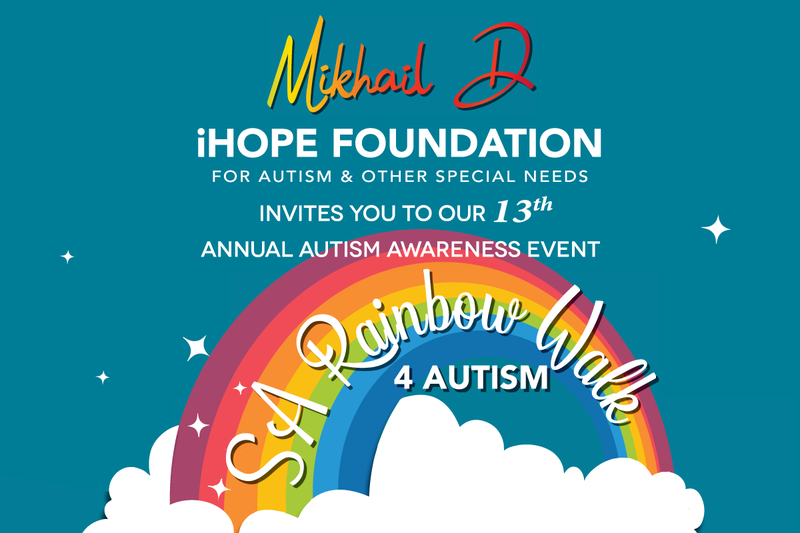 To celebrate they will offer a 10% discount on ALL tours for the month of November as well as spot prize giveaways throughout the month, ranging from discounts, to free tours and a lucky family of 4 will stand a chance to ride up to the best view of Durban in Moses Mabhida Stadiums very own SkyCar. With an energetic tour guide leading the way, you will glide to every hot spot the Stadium has to offer. Take in the views of historic victories, games and achievements… An added attraction to the Moses Mabhida Stadium Tour is the People’s Park! Glide around this vast area, enjoying the wind in your hair as you admire this magnificent man made structure. 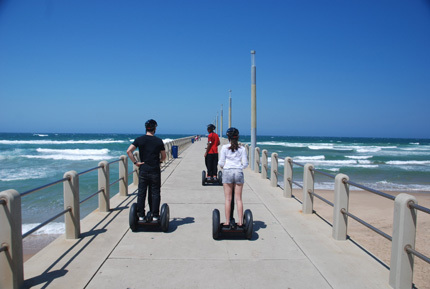 You can also enjoy a tranquil glide along Durban’s Golden Mile! The perfect place to get glimpses of golden sands and take in Durban Beachfronts hustle and bustle – from pavement cafes with live entertainment, sand sculptures, surfers and a markets – there is something for everyone. 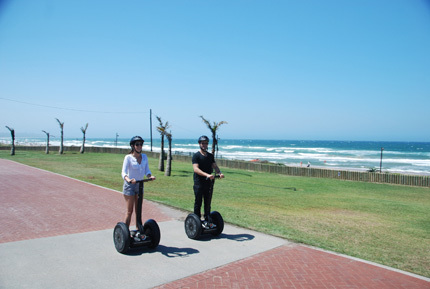 Choose between a 45 minute Beachfront glide or our most popular 2 Hour Ushaka Glide! Bookings are essential and no children under the age of 10 years old are permitted to ride Segways.